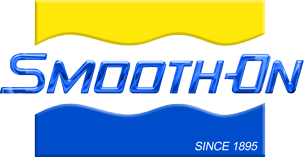 Smooth-On, Inc. | Mold Making & Casting Materials | Rubbers, Plastics, Foams & More! Slides, videos and hands-on demonstration introduce you to the basics of mold making and casting in an easy-to-understand format. Attendees make their own molds and castings over the 2-day period. In addition, a variety of our “sideshow” demonstrations and applications will open your eyes to a world of material possibility. › Reserve your spot early. Classes sell out months in advance. Be inspired, see how people use these materials to reach new creative heights for making molds, industrial parts, special effects, props, models, sculpture and much more. We have a new eye-catching catalog devoted exclusively to concrete-related applications and processes. It is a compilation of past high-profile concrete mold making projects and also features a never before seen project. Smooth-On works with teachers and students at colleges and universities to educate people on how liquid rubbers, plastics, foams and other materials can be used for an infinite number of applications. Need a Mold or Casting Made? For those of you interested in having molds or castings made for you, we are pleased to suggest a list of professional mold makers and casters who can do it for you. Our chemists have many years of combined experience and are respected industry wide for their individual expertise and development capability. There are minimum volume requirements for manufacturing a custom formulation and we will be happy to discuss this and other variables to determine what is possible.